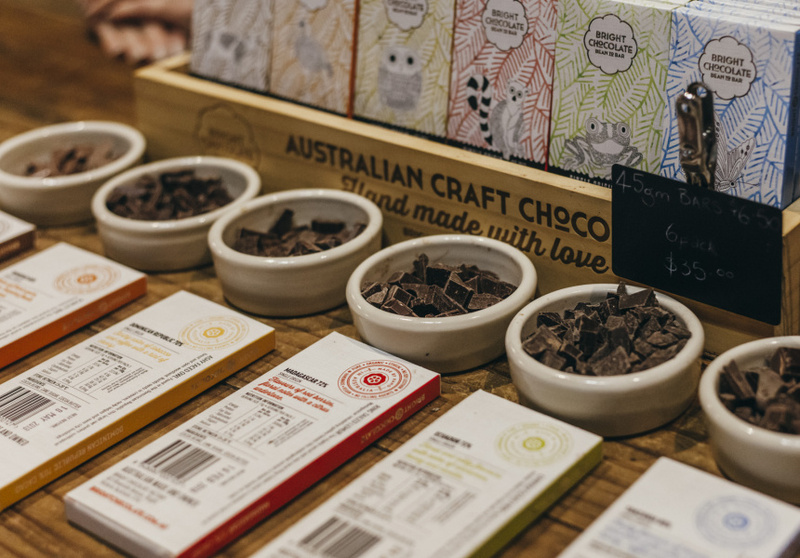 You’ve heard of single origin coffee, but how about single origin chocolate? 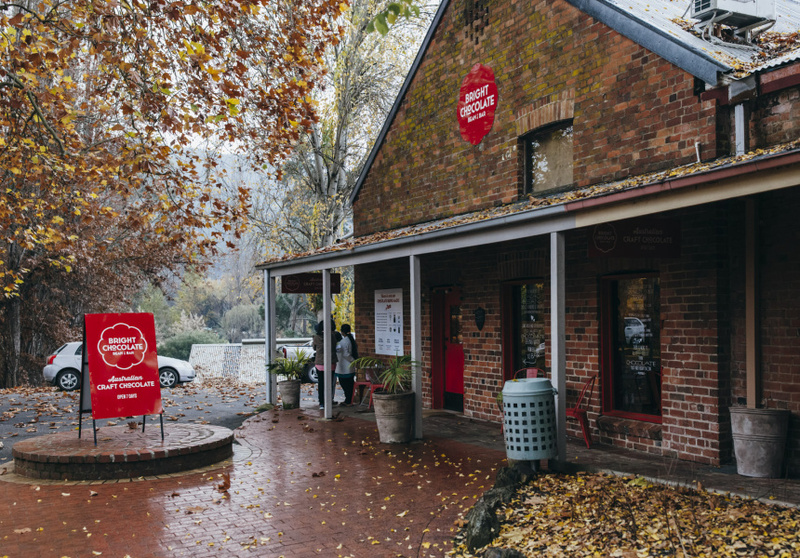 Simeon Crawley makes it in small batches at Bright Chocolate, located inside a converted 1870s stable. He’s involved at every step of the process, from sourcing directly from cocoa farmers in Madagascar, Trinidad, Dominican Republic, Ecuador and Tanzania, to adding the final gloss to a chocolate-coated hazelnut. The tasting room opened in December 2013. Here, you can taste through a selection of dark chocolates from various origins, and spot the distinct differences in flavour. The dark chocolates are all organic and vegan, and contain no soy lecithin or filling agents. Thanks to the high quality of the cocoa beans the team sources, these dark chocolates aren’t bitter like your supermarket-bought 70 to 80 per cent cacao slabs. Instead Crawley adds just the right amount of sugar and cocoa butter to balance and enhance each origin’s tasting notes. He also makes one non-vegan milk chocolate. There are six laborious steps that take cacao from bean to bar, which you can learn about during a factory tour every Friday at 2pm. Sit in and enjoy a hot chocolate with a brownie or cookie on the side. The team also makes a loose leaf tea from the waste-product husk of the cacao bean that you can try in store as a hot or cold iteration. 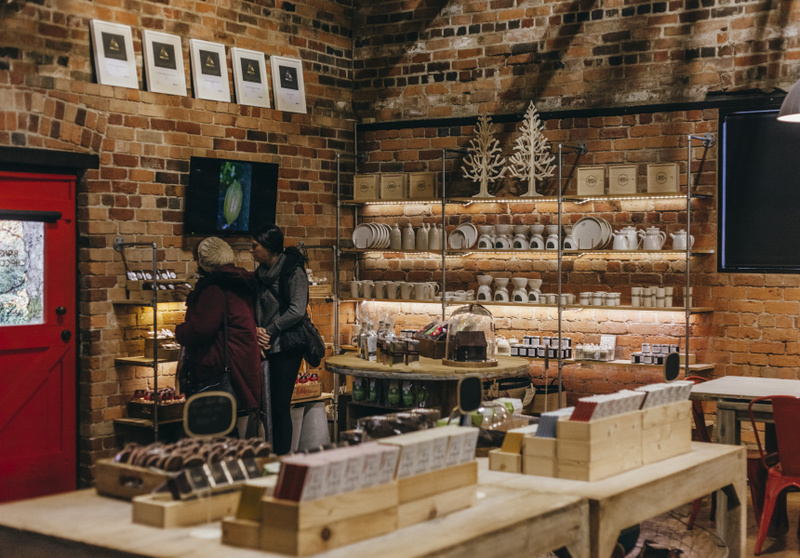 On the shelves there are chocolate bars, aniseed rings, coated coffee beans, plus soaps, candles and body scrubs made from the cacao husk, local Sixpence Coffee beans and the brand’s own pottery range.